Welcome new OISE Students - get a Headstart! Newly Admitted Students: Set up and access your student account. Download the "Canvas Student" app to receive course notifications and access course content from your mobile device. Now Available: Online modules (developed in part by the School of Graduate Studies, CTSI, and Student Life) for graduate student professional development. Visit the SGS website for more information. 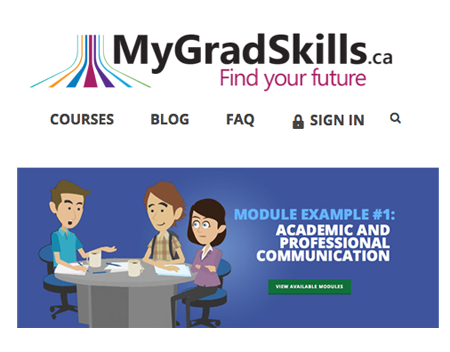 Grad students, navigate to MyGradSkills.ca to get started. Staff and Faculty can continue to get their TCard at Robarts. Want assistance with the online component of your course? Check out the Online Teaching & Learning site for all you need to know about the online learning systems we have at OISE like Quercus and Pepper. Electronic submission is mandatory for all students. The Education Commons Research Services provides more information on E-Thesis Submissions (MA and PhD).